Note: This post has been added to the Rumo(u)rs category since we’ve not found out any evidence that this bundle is happening, aside from a German listing on Amazon dubbed the “Legend Edition” with both Reignited Trilogy and N. Sane Trilogy bundled in. Update 8: Looks like Microsoft has listed the bundle sold for Xbox One digitally. It’s currently live on the Microsoft Store in Japan, please note that Spyro Reignited Trilogy does not feature any kind of Japanese localization what so ever. This bundle will go live on the Microsoft Store everywhere else where applicable soon for tomorrow’s launch. Update 7: Looks like Amazon also has the bundle sold for Xbox One and PlayStation 4. It’s currently live on Amazon Japan, using the ASIN Lookup tool, we can see that the English title is already set and will be revealed once Activision announces the bundle. For Japanese fans, please note that this listing is a North American import. Update 6: It looks like stores have started getting the shipments for Spyro Reignited Trilogy and Spyro + Crash Game Bundle (Back Cover Side) in preparation for the November 13, 2018 release date, according to two Reddit posts by PiggyMcsquee at Best Buy. It looks like the bundle will contain two disc boxes in one carton package instead of a single box plastic with two discs inside. The PS4 copy is shown in the pictures. Thanks for the tip, SpyroSZN! Update 4: Forgot to mention that Bull Moose has the UPC Code (047875883154) for Xbox One and not just the PS4 one (047875883123). Now, here’s the major update: This bundle is no longer considered a rumoured product, as it turns out, Walmart has it up on their website, although it is not searchable yet. This also confirms that Spyro Reignited Trilogy for the PS4 and Xbox One will still require content download on day 1, it remains unclear after the delay if this will be to download Spyro 2 and 3 or it will be a major required update to the entire package. 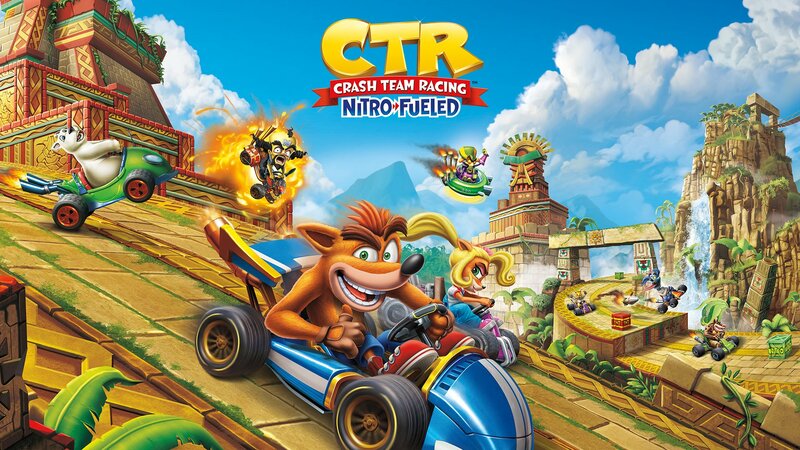 Please note that this is not the same as the Day 1 patch that Crash Bandicoot N. Sane Trilogy got on the PS4 last year, in which you could play it completely unpatched offline (although you will miss out on the online leaderboards). Your favorite Dragon and Bandicoot are back! With the Spyro + Crash Remastered Game Bundle, you get two fully remastered trilogies, the Spyro Reignited Trilogy and the Crash Bandicoot N. Sane Trilogy, for a total of six iconic games. Update 3: Another local store in Pennsylvania, United States, called “Game ‘n DVD Exchange” (Facebook Page), shared that they’ve opened up preorders for the Crash/Spyro Bundle and have attached a cleaner coverart image for the PS4, noting that Spyro Reignited Trilogy still “Requires Content Download” on the box. The one that was on Side Scrollers’ image banner containing a cropped Xbox One coverart (note the addition of supported Xbox One X enhancements and HDR support on the top right corner for both) that lacked the notice and put them on the PS4 boxart as well. If there’s any information or wording that is incorrect, please let us know to get it resolved. Update 2: The UPC code (047875883123) was found and more from two sites: Provantage and Bull Moose. Indexed on Google since October 9th. In addition, Blowitoutahere.com also has this bundle listed. We should see more stores list this once it is announced or confirmed via a major retailer. Update: Side Scrollers responded, this bundle is priced at $59.99 USD MSRP, was told that it “should come in two discs” with more details coming soon. Stay tuned. It’s only about 20 days away or less from the long-awaited release of Spyro (The Dragon) Reignited Trilogy on the PlayStation 4 and Xbox One and fans could never be happier about this celebration of the beloved trilogy and franchise getting some love. 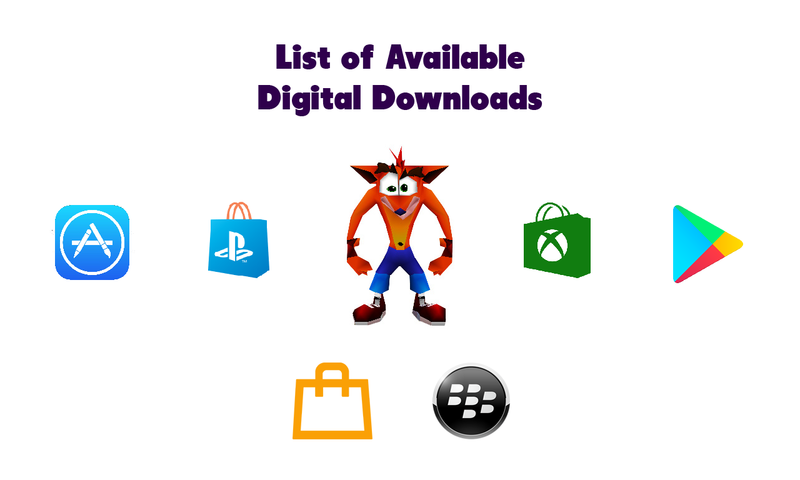 So, it makes sense to have a bundle of both Crash Bandicoot and Spyro for those willing to get both trilogies on either the PlayStation 4 and Xbox One and that’s great. Yes, both covers are indeed just the Xbox One cover, since it lists the Xbox One X enhancements and HDR support (On the PS4, its listed on the back only). However, the source that this news of the game bundle comes from is a local business store called Side Scrollers in New Jersey have started taking preorders for it, there are no other details about the price, SKU ID, UPC Code or contained # of discs for it, and it is not even listed on any other store in the United States or Canada. So, take this with a pinch of salt, even though the cover art looks pretty convincing that its legit. Thanks for the tip, CrashRatchetFan. So that probably explains the two-disks rumor for Spyro, as it makes sense for two different games from two different engines to be on separate disks for the bundle. Unless, Reignited itself normally comes on two disks, and they though having three disks would be overkill for the bundle, so they are supplementing the limited disk memory with a download. Both are possible.